Every domain or website is registered by an individual, group or business. You can use a Whois domain search to find out the contact information and the registrar of a website. 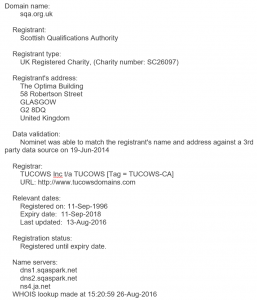 The Whois tool, available on domain registrars’ websites can be used to query the database of domain registrars. You can obtain the name, address, phone number, and email address of the person or business that registered and administers the domain. Most domain registrars and companies that manage Internet addresses all offer a free Whois domain search, eg: Network Solutions, GoDaddy, Nominet (for .co.uk, .org.uk, .net .uk etc) and InterNIC (for .com, .org, .net etc). 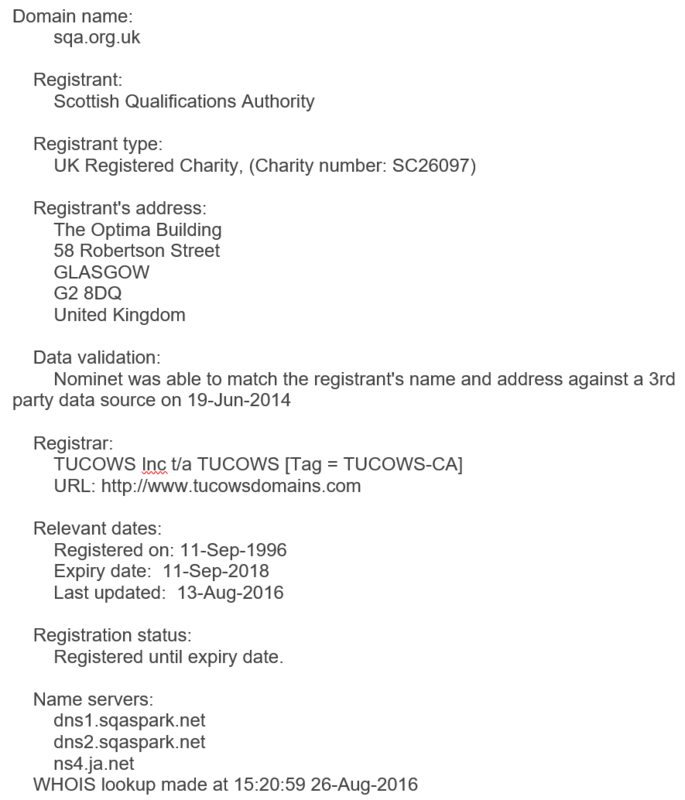 Using Nominet to carry out a Whois search for sqa.org.uk provides the information shown on the right.